Today i went for the lazy boy look. I picked up the same gray t-shirt off my bedroom floor i had on yesterday and put it on. I love this t-shirt as its really comfortable and brings out the colour of my eyes. 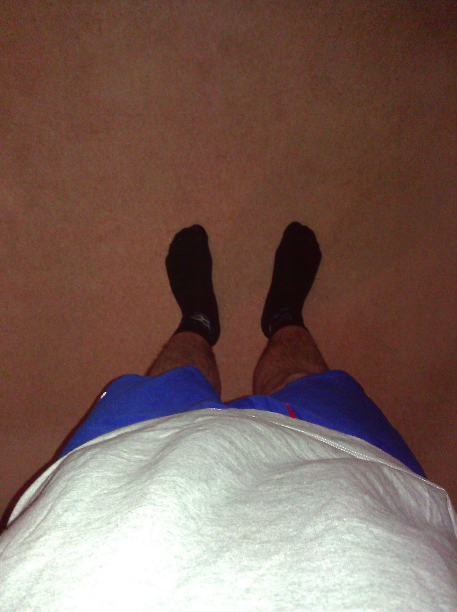 For my legs, i was feeling rather warm so decided to go for a pair of shirts. Man Utd away kit 09 where the ones of choice. 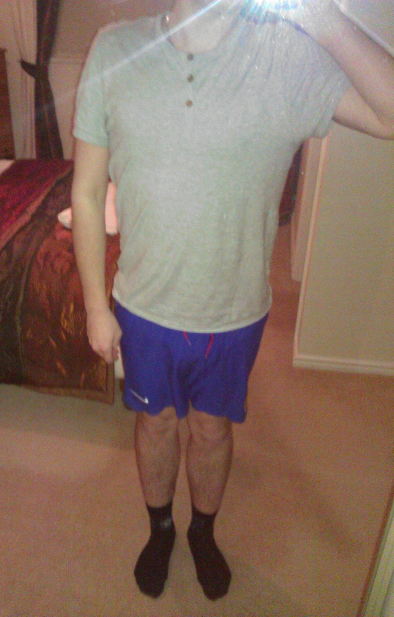 Im not that keen on these shorts as they make my legs look pale but hey. Black socks with football logos on the side where the choice for my feet. Although they are thin they keep my toes warm which is only a good thing. 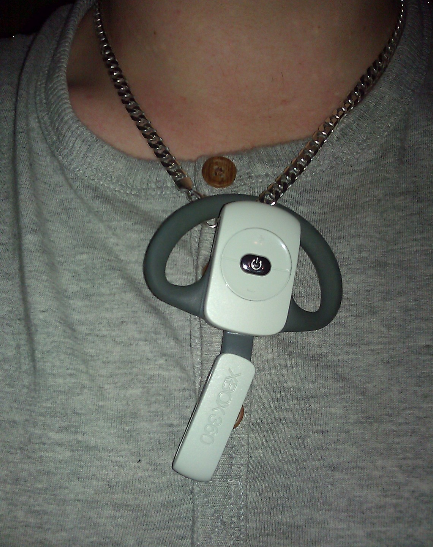 I went for the XBL chain today. Feature a realistic xbox live wireless headset it really does make you look ‘down with those trumpets’. Tune in tomorrow for more outfits!